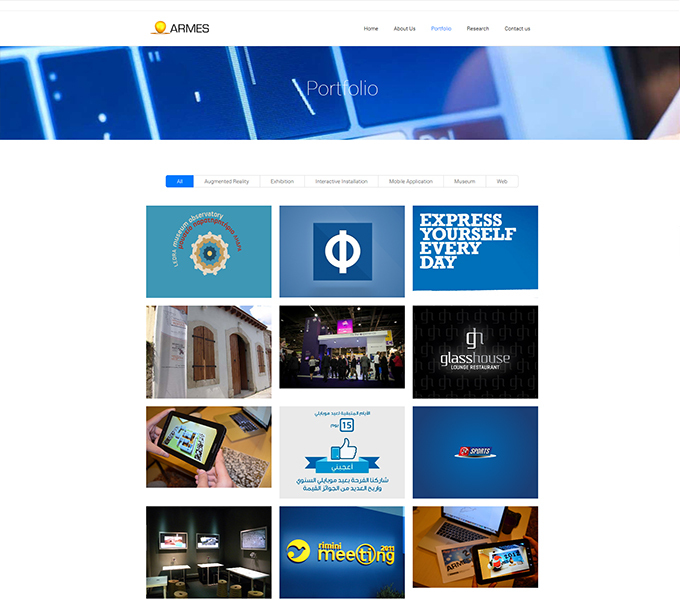 ARMES Ltd is a high-tech company providing interactive solutions and mobile applications located in Nicosia, Cyprus and operating since April 2009. 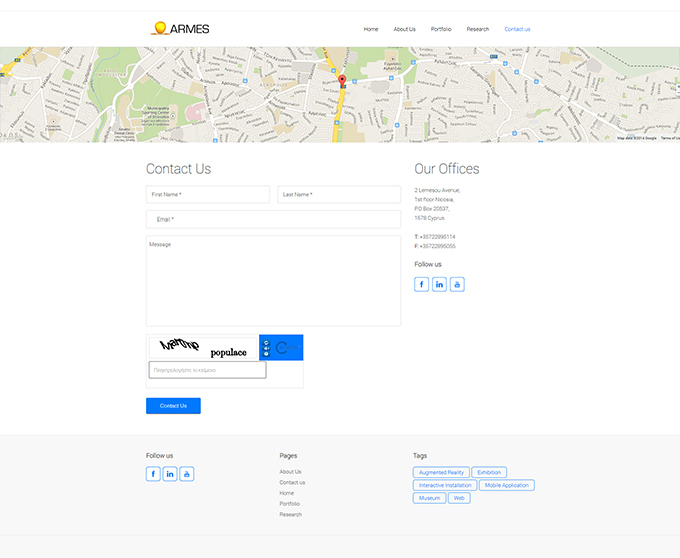 Its focus is on the provision high quality software and hardware solutions tailored to the needs and requirements of each client. The proposed solutions are based on state-of-the-art components, the combination of which allows a rapid, flexible and expandable customisation to the customer needs in a variety of fields. 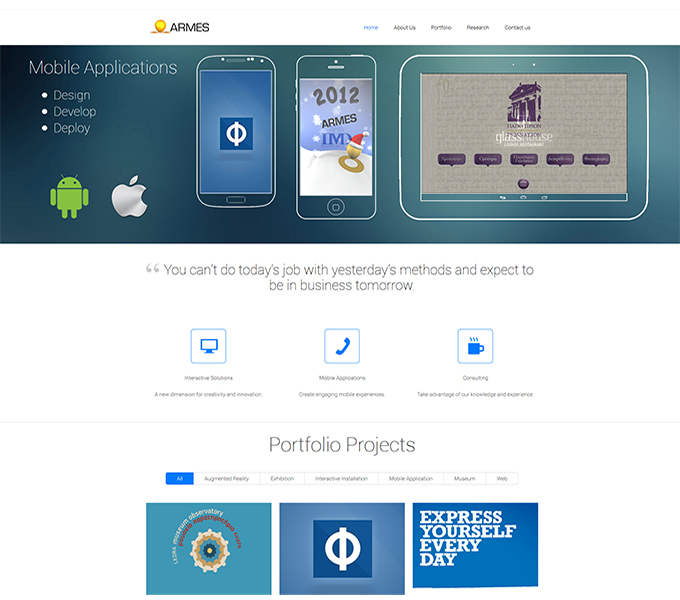 The company exploits the latest research in the fields of interactive technologies, computer graphics and mobile devices, through its network of academic collaborators and industrial partners. 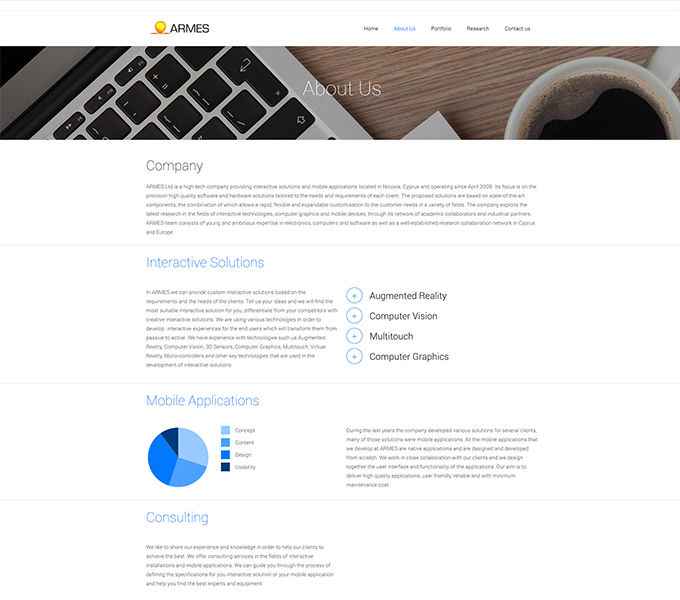 ARMES team consists of young and ambitious expertise in electronics, computers and software as well as a well-established research collaboration network in Cyprus and Europe.